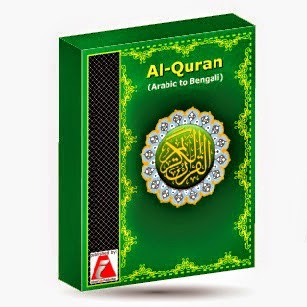 Al Quran Bangla/Bengali With Translation from Arabic in PDF format free download.Download Al Quran/koran/Quran shareef in Arabic to Bangla Translation free download-PDF.Quran Sharif(Simple Bengali Translation) PDF File free Download.Full Quran in bangla language.Quran Translation of 114 Surah In Bangla Language.This Quran is in PDF format.Bengali: Noble Quran (Arabic-Bangla) in bangla translation. Download the book from the below given links, If you face any problem Let me know via comment. I like your website...jazak allahu khairan.. Some time we face many problem. please dear resolve it. Can I read downloaded (Al Quran) without feel any doubt? Now a days lots of non-muslim trying to fall in wrong path. What is the password or this pdf file ???? ما شاء الله ....it's a great measure.....thank you...!